This article is a little long, but stay with it: because Mark Rushdoony nails it. “Babylon is the kingdom of man,” opposed to the Kingdom of God. It is human beings trying to be gods. If your Bible reading has brought you around to Revelation, this essay will be illuminating. It’s a “big picture” view of Revelation–speaking for myself, at least, something which I’m always in danger of losing in the details. This entry was posted on Sunday, May 20th, 2018 at 11:09 am	and tagged with babylon, book of revelation, Faith For All of Life, Mark Rushdoony, www.chalcedon.edu and posted in Articles, religion. You can follow any responses to this entry through the RSS 2.0 feed. « Is the Book of Daniel a Hoax? Mark’s Dad taught him well (of course, it is the Holy Spirit Who is the real Teacher). 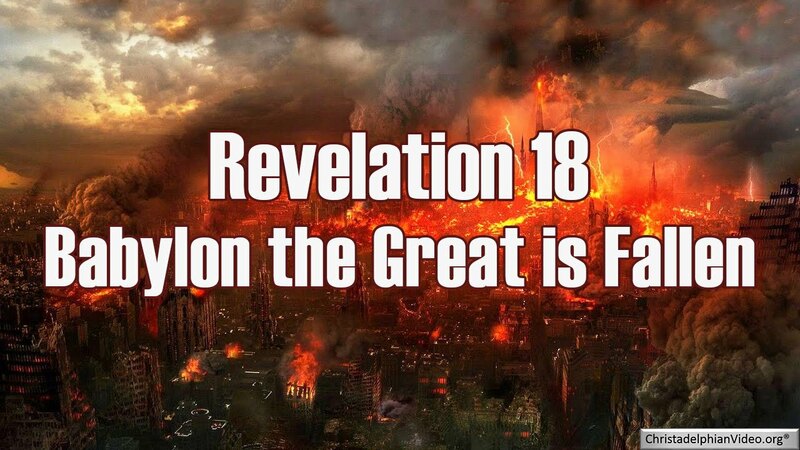 The Bible prophesied Babylon would be destroyed and never be built again, and it hasn’t been rebuilt even though it was one of the wonders of the ancient world. The Globalist/One-world Humanists are a Babylon that is the process of being destroyed. Our job as Christians in the 21st century is to be building the City of God to replace it.